One thought which often crosses students’ minds is “how can I buy assignments online?” In this era of intense competition, severe work pressure and almost non-existent social lives, purchasing assignments online is sometimes the only option left for students. However, often students make the mistake of buying a pre-written assignment on the same topic from an essay mill and passing it off as their own after making minor changes. Essay companies will often advertise them as a cheap solution for students looking for assignment help. However, they can easily turn into your worst nightmare. We strongly advise you that, even if you do not use our services, you should avoid buying pre-written assignment. Pre-written assignments, as the name suggests, are essays or term papers ordered by students before you. Think of it like this: “Do these companies write on every possible topic in the hope that some of them will be bought by students?” Absolutely not! These are assignments prepared for their previous clients which they sell to you. Not surprisingly, these assignments have already been submitted elsewhere and will be detected as plagiarised by any plagiarism scanner. So even if you pay a small amount for a pre-written assignment, you will have to do the bulk of work and rewrite it completely. Will you place trust on a company which sells a custom assignment written solely for you to others? Also keep in mind that many of your classmates are also looking to buy assignments online. What will happen if two of you end up buying the same pre-written assignment? Professors are very smart at detecting similar assignments. Needless to say, both of you will be accused of collusion and you can be thrown out of the university. A quick-fix solution like this can easily land you in a lot of trouble. Pre-written assignments may be cheap, but are completely worthless. So what should a student do if he/she wants to buy assignment online? We suggest that you buy from a reputed assignment writing service that will prepare a custom assignment solely for you. At MyAssignmentExpert.com, we prepare your assignments completely from scratch. We do not have an automated pricing system simply because we do not resell pre-written assignments. Your assignment request will be reviewed by an expert and we will give you a custom quote only after we are sure about meeting your requirements. What will happen if several students want to purchase exactly the same assignment? Like we mentioned it earlier, EACH of your assignment is prepared from scratch and is never resold. If we get more than one request for the same assignment, which we often do, we will prepare each assignment from scratch so that they are completely different from each other. After all, our assignments experts are quite adept at writing on the same topic from different point of views. 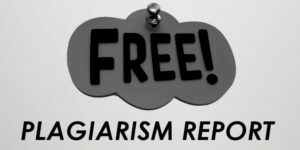 Our assignments come with an absolute guarantee that they will pass any plagiarism test in the world. I don’t have much time left to submit my assignment. What can I do? Even if such is the case, refrain from buying a pre-written assignment. We can provide you custom assignment help in as less as 4 hours. Check out our urgent assignment help section to see how we can deliver your custom assignment overnight. Do yourself a favour and always purchase custom assignments from a reputed service like ours. How do I buy my own custom assignment? It is very simple. Fill out this simple form online or chat with our customer support executive. Alternatively, you can send us an email at [email protected] with your complete requirements. We will review your requirements and send you a quote within 1 hour. 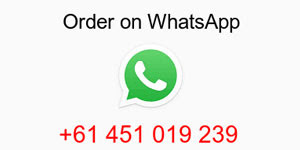 If you are satisfied with our quote, go ahead and make the payment to confirm your assignment. Once your payment is successful, you can simply relax and we will deliver your custom assignment to your inbox well before your deadline. In the meantime, you can check out some free samples prepared by our assignment experts to gauge the quality you can expect from us. So what are you waiting for? Purchase your own custom assignment right now.